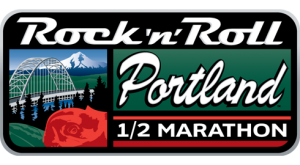 The annual Rose Festival season gets rolling this weekend with the Portland Rock ‘n’ Roll ½ Marathon. TriMet will get you to and around the run. The event kicks off at 8 a.m. on Sunday, May 18 and should last until about 3 p.m. All MAX lines and more than a dozen bus lines serve the Portland City Center and come within seven blocks of the start and finish lines. Those heading to the race from the west side should get off Blue/Red Line trains at the Yamhill District Station and walk toward Tom McCall Waterfront Park. Customers coming from the eastside should get off the trains at the Morrison/SW 3rd Ave Station. Riders taking the Green/Yellow trains should exit at Pioneer Place/SW 5th Ave and head toward the river. Remember fares are required on all MAX trains. on Sunday:4, 6, 8, 14, 15, 33, 35, 44, 70 and 77. Eastbound service on the five bus lines that use the Steel Bridge will be rerouted to the Broadway Bridge beginning at 7:00 a.m. through about 1:00 p.m.
Other bus routes will detour beginning at 7:00 a.m. through about 1:00 p.m.
Due to the detours, more than 150 bus stops, mostly in the City Center and on the inner east side, will be closed. Buses on other lines may face minor delays as traffic is held for runners to pass so riders should plan extra time if traveling in the area of the run. Riders can find out if their bus line will be impacted by visiting trimet.org/alerts on the morning of the event. To view the course of the Rock ‘n’ Roll ½ Marathon, go to runrocknroll.competitor.com/portland/course. TriMet customer service staff will be at the event’s Health & Fitness Expo, being held at the Oregon Convention Center today and Saturday, pre-selling fares for Sunday as well as providing service information. Our new TriMet Tickets mobile app lets you easily purchase and use tickets and passes for MAX or bus instantly on your phone – anywhere, anytime. Just download the free app, register your debit/credit card in our secure system and you’re ready to buy, activate and go. Learn more at trimet.org/mobiletickets.